A few days ago I wrote that there’s more than one path to $100 million. I argued that while it’s awesome to see that some companies are able to get from 0 to $100 million in ARR in 7-8 years or even less, trying to grow that fast may not be the best choice for most companies. That raises the question: What are your chances of growing a little slower and still achieving massive success? Considering that most investors are pretty obsessed focused on finding companies that follow the legendary T2D3 growth path (directionally confirmed by the responses to our SaaS napkin survey earlier this year), you might expect that your chances are low. Most of the companies are publicly listed, in which case it was easy to get accurate revenue data from YCharts or from the companies’ SEC filings. For private companies, I used various online data sources, including Wikipedia and various blogs. For these companies, the numbers are by their nature less certain. All revenue figures are based on GAAP revenue as reported by public SaaS companies, i.e. the numbers do not show a company’s ARR. In most cases, this doesn’t make a huge difference (if all revenue is subscription based, GAAP revenue trails ARR) but note that for companies with a larger percentage of setup fees, revenue from professional services or other non-recurring revenue sources, the difference is bigger. Some companies use different fiscal years. As I didn’t want to look into monthly revenue numbers in order to get the exact revenue numbers for each calendar year, I used some simple rules in these cases: If a company’s fiscal year ends on March 31, I allocated the revenue of that fiscal year to the previous calendar year. If the fiscal year ends on October 31, I allocated it to the same calendar year. In most cases, the “founded” date corresponds with the year in which the company was founded, but there are a few exceptions, like Slack, which started in 2009 with a completely different product and didn’t launch Slack as we know it today until 2013. In that case, I used 2013 for the “founded” year. This is not a scientific project and the data hasn’t been double-checked by anyone so far, so it’s well possible that there are some bugs in there. The list contains almost all public SaaS companies and some of the largest privately held ones that I could find public data for. 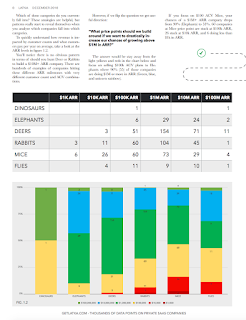 In total, the list contains 70 SaaS companies. All of them are at $100+ million in ARR, and with the exception of one company (Domo), all of them are worth more than $1 billion. I can think of at least 10-20 other SaaS companies that should be added to the list (Talkdesk, Pipedrive, Intercom, OneLogin, AirTable, InVision, Procore, Canva, Asana,...), and I’m pretty sure there are at least 20 further ones that I’m not aware of. 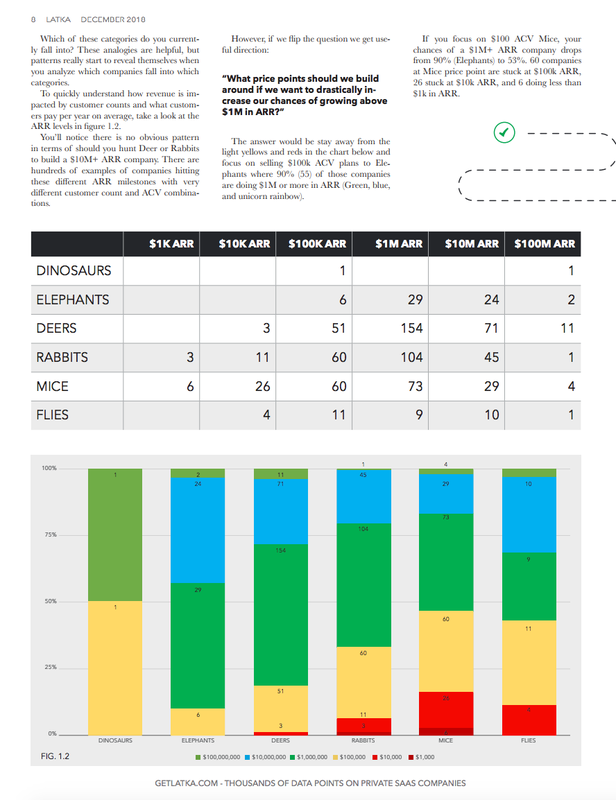 That makes it a pretty safe assumption that there are now 100 SaaS unicorns. There you have it! :-) Even if you look at a selection of the best of the best SaaS companies, getting to $100 million in 7-8 years is not the norm. If you only look at companies that were started in the last 15 years, the average time-to-$100-million drops to an impressive 8 years. That’s not too far away from the T2D3 path and it shows that it is indeed possible to grow that fast; however, there are also several companies in this cohort that took 10 or more years. In the bottom right corner of the sheet you can see the average y/y growth rates for the year in which the companies hit $100 million and for the following year. As you can see, the average annual growth rate drops from around 75% going in to $100 million to around 50% coming out of $100 million. This is not surprising – as Rory O’Driscoll of Scale Venture Partners explained in this post, growth rates almost always decrease with increasing absolute numbers. A couple of years ago I wrote a post titled “How fast is fast enough?”. The subtext of the question was “How fast do you have to grow if your ambition is to get to $100M in ARR and build a very large company”. It’s an important question, as your target growth rate determines your hiring plan, budget, and fundraising strategy. 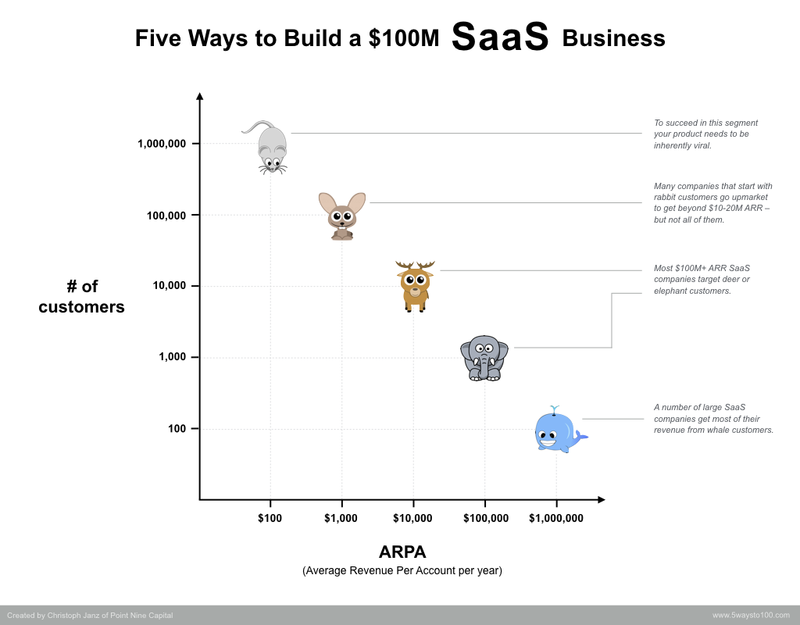 In that post, I looked at how long it took publicly traded SaaS companies to get to $100M in ARR and concluded that if your goal is to reach $100M in ARR, you should try to get there within 7-9 years after launch. The thinking was that if you grow significantly slower, your chances of ever getting to $100M will go down. Meanwhile, a few SaaS companies have shown even more spectacular growth. Slack reached $100M in ARR just two and a half years after launch and Dropbox got to one billion dollar in ARR within ca. eight years. UIpath, the wildly successful robotic process automation solution out of Romania, is on a similar trajectory. But if you’re thinking that in light of these bar-raising success stories, I will suggest to further push up your growth targets, I have a little surprise for you. :-) I’m going to say the opposite – that you might want to consider a slightly slower pace. To be clear, if you can pull off a “T2D3”, that’s fantastic. A SaaS company that gets to $2M in ARR within 1-2 years, triples in each of the next two years and doubles in each of the three following years is headed straight to unicornland. If you can do that without burning hundreds of millions of dollars along the way (or even hitting a wall), go for it. The crux is that this is a pretty big „if“. Setting yourself up for T2D3-style growth usually comes with a very high burn rate – hundreds of thousands of dollars per month, eventually likely millions, depending on where you’re at in the journey. The main reason is that your customer acquisition costs are highly front-loaded. While this is generally true for most companies, it’s particularly true for SaaS businesses, which invest heavily in product development, sales, and marketing upfront and get payments from customers over a delayed period of time, usually several years. Let’s say you have a CAC payback time of 12 months, i.e. your fully-loaded customer acquisition costs equal 12 months of gross profit. If your customer lifetime is, say, four years, this means that the gross profit from the first year pays back your customer acquisition costs, and the gross profit from the following three years can be used to cover your fixed costs and eventually create profits. Not bad. What makes things tricky is, first, the uncertainty of how your CACs will develop at increasing scale and of how your churn rate will develop over time. As I wrote here, trying to forecast what happens to your CACs if you 10x your sales and marketing spend is very difficult. The second issue is the timing of some of the major expenses. If you close a mid-market or enterprise customer today, it usually means that a salesperson, let’s call her Maria, has been working on the deal for 6-12 months. Maria probably required at least three months of onboarding and training, and chances are that three months before Maria’s first day at your company you paid a recruiter (or incurred other types of recruiting expenses) to find her. Presumably, you also increased your marketing budget to generate more leads 6-12 months before Maria closed that deal. In other words, if you want to meet your Q1/2020 targets, you will likely start incurring costs related to these targets very soon, a year before you start to generate cash, and two years before these investments start to become ROI positive. That enormous lag time (which the always excellent David Skok calls the SaaS Cash Flow Trough) makes it hard to course correct if things don’t go according to plan. Like a large tanker at cruising speed that cannot quickly take a turn, a startup with a fast-growing headcount and a high burn rate loses some of its ability to quickly react to new information, new insights, or changes in the market. If you’re setting yourself up for hypergrowth, the margin for error is very thin. If you’re highly confident in your PMF and the scalability of your sales and marketing machine and you’ve raised enough money to survive a few missed targets, go for it (but keep a very close eye on pipeline coverage, quota attainment, and other leading indicators). If, however, you’re less certain or you have a smaller war chest, consider going a little bit slower. One way to sanity check your budget is to simulate what would happen if your costs grew as planned while revenue increased only linearly, i.e. you assume that you’d keep adding the same amount of net new ARR in the next quarters that you’ve added in the last quarters. Let’s say you’ve grown from $6M to $18M in ARR in 2018, perfectly in line with the T2D3 mantra. Let’s assume you’re planning to double in 2019, from $18M to $36M in ARR, while burning around $20M (so you’d burn about $1.10 for each $1 of net new ARR, which is quite healthy). Now imagine that you’re spending money as planned, but instead of adding $18M in net new ARR in 2019 you’re adding only $12M, the same amount that you’ve added in 2018. As a result of missing your revenue target by 33% (or just 17%, if you want to fool yourself and calculate target achievement based on ARR as opposed to net new ARR), you’ll burn around $6M more than planned (the precise amount depends on your payment terms). I’ve created a very simple model that illustrates this. As you can see, if you’re hiring for T2D3 growth but you end up growing revenue somewhat slower, the gap between your revenues and your costs will widen very quickly, which leads to a double whammy: Your runway shortened because you’ve burned more than planned, so you’ll have to raise again sooner, and at the same time your growth rate went down, which makes it harder to raise more money. In a situation like this, two or three missed quarters can be life-threatening if you don’t have enough cash in your war chest. Because of this, make sure that whatever path you choose, all key stakeholders (co-founders, board, investors, leadership team) are aligned on the plan and potential fallback scenarios. Giving yourself one or two more years to get to $100M has an enormous impact on the required growth rates. You can see this if you play around with the numbers in this little calculator that lets you calculate how fast you have to grow in order to reach $100M in ARR within different time spans. Besides a linear and an exponential growth model, it also shows what Rory O’Driscoll called the “Mendoza Line of SaaS growth”, a very interesting concept which assumes that your growth rate for any given year is likely around 80 percent of your growth rate in the prior year, which is a more realistic assumption than having a constant growth rate. If you know me a little you’ll probably agree that like everyone at Point Nine, I’m a pretty nice guy. We’re trying hard to make venture capital a little more human, and we really mean it when we say that we aspire to be good VCs. I’m pretty sure that almost all if not all of the more than 200 founders we’ve worked with over the last ten years would confirm this. I’m not saying this to brag or to say that we’re perfect (which we are not, of course). What I’m hoping is that the reputation of being a nice, founder-friendly VC, which I believe we’ve earned in the last ten years, as well as the fact that I’ve co-founded two VC-backed startups myself and therefore know both the founder perspective and the VC perspective, gives me the right and credibility to write this post. Calling out others for questionable behavior always comes with the risk of hypocrisy, but I’m happy to subject our business practices to public scrutiny. If you think I (or anyone from my team) ever did not meet our standards, please reach out. In the last year, we have seen, on more than one occasion, a behavior among later-stage VCs that we’ve rarely observed in the years before. This might be due to the fact that our portfolio has become mature, which explains why there are now more portfolio companies that are at the stage at which the issue (which I will detail in a second) tends to occur. It’s also possible that the increasingly intense and sometimes downright crazy competition for the hottest deals among later-stage VCs has made this behavior more prevalent. Here’s what I’m talking about. In the last 12 months or so it happened several times that later-stage VCs, as part of financing rounds, offered a “re-up” (i.e. new shares or options) to founders of portfolio companies. By doing this, they try to partially or completely offset the dilution (i.e. reduction of ownership percentage) experienced by the founders in the financing round. If you think “Great, if founders get more shares and are diluted less, that’s awesome!”, think about the effect which this maneuver has on the existing investors of the company (as well as on employees holding options or shares). If founders get a re-up, every single share, option, or ownership percentage that they receive (obviously) needs to come from someone. And that someone are the existing shareholders of the company. Oftentimes, the re-up shares are proposed to come out of the pre-financing cap table, in which case it’s obvious who bears the dilution. Sometimes it is proposed that the re-up shares are created post-financing. The latter might make the maneuver seem fairer on the surface, as it appears as if the new investors joined the existing investors in paying the price for the additional founder shares. But if you do the math, you'll see that it doesn’t solve the crux of the issue. More on that in the example below. This (simplified) cap table model shows the effect of a $40M investment on the founders’ shares in two scenarios: The first one assumes a $140M pre-money valuation and no founder re-up; the second one assumes a $120M pre-money and a founder re-up of 10% pre-financing (which equals a transfer of 3% of the post-financing equity from the existing investors to the founders). As you can see, the founders are better off in the second scenario, in spite of a ca. 15% lower valuation. For all scenarios, I assumed that before the financing round, the founders and the existing investors own 60% and 40%, respectively, of the company. I further assumed that the company wants to raise $40M and that the existing investors will participate with an investment of $10M, so $30M come from the new investor. Let’s say a VC (who I’ll call “VC 1”) offers the company a pre-money valuation of $120M (Scenario 1A). In this scenario, the founders and existing investors would hold 45% and 36.25%, respectively, after the round. Now let’s say another VC (“VC 2”) offers the company a higher valuation, $140M (Scenario 2). In this scenario, the founders would hold 46.67% after the financing, while the existing investors would be at 36.67%. Scenario 2 is significantly better than Scenario 1A, for the founders as well as the existing investors, so (assuming both VCs are of equal quality) the company should go for VC 2. But VC 1 doesn’t want to lose the deal, of course. He/she could increase the valuation to make his/her offer more attractive, but hey, that would reduce his/her stake. So instead of offering a valuation that is equal to or higher than what VC 2 has offered, VC 1 now proposes a founder re-up of 10% of the pre-financing equity. As you can see in Scenario 1B, this would result in a 48% stake for the founders, which is significantly higher than the 46.67% they would hold if they went with VC 2. Meanwhile, nothing changed for VC 1, as he/she would own 18.75% in Scenario 1A as well as 1B, so everyone should be happy, right? Not quite: The existing investors’ stake in Scenario 1B is reduced from 36.25% to 33.25%, precisely by the three percentage points by which the founders’ stake is increased as a result of the re-up. This is the 3% transfer from the existing investors to the founders that I’ve mentioned a few paragraphs ago. If VC 1 wanted to get the founders to 48% without meddling around with the cap table, he/she would have to increase the pre-money to $160M. You can see this in Scenario 1D. By offering a re-up instead, VC 1 managed to make his/her offer the top offer for the founders while offloading 100% of the costs of the re-up to the existing investors. 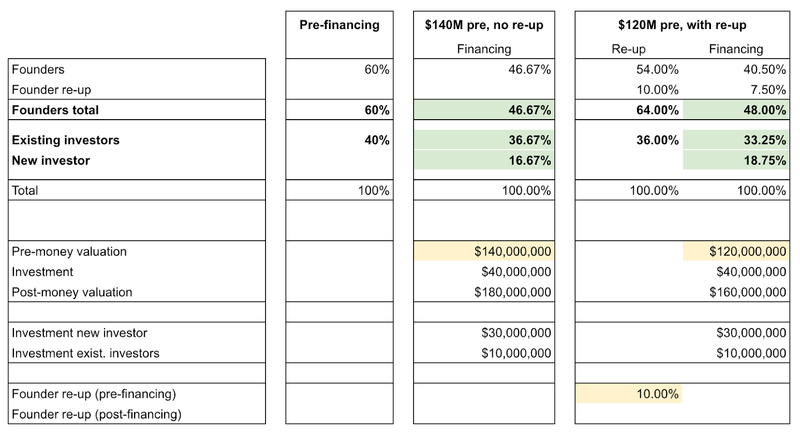 Scenario 1C shows what happens if the investor is willing to do the re-up after the financing. In that scenario, he/she does end up with a lower stake compared to Scenario 1B (17.73% vs. 18.75%), but if you compare it with Scenario 1D (AKA the “don’t mess around with the cap table” offer), he/she is still much better off in 1C, at the expense of the existing investors. I want to believe that the later-stage investors we’ve worked with so far all had good intentions, and maybe I should understand that if you’re trying to win a competitive deal and want to set up a company for success, concerns of other investors aren’t your number one priority. That said, there is an act which, according to Wikipedia, is defined as “giving something of value [in this case shares] in exchange for some kind of influence or action in return [in this case the deal] that the recipient would otherwise not alter.” ;-) The fact that here that “something of value” doesn’t even come from the later-stage investor, doesn’t make it any better. Obviously, investors engaging in this tactic aren’t stupid, so the official version is usually not “rather than offering a higher valuation [which would benefit all shareholders equally], we’ll give you a lower valuation but will offset some of the dilution by giving you [the decision makers] some extra shares”. The official justification is almost always incentivization of the founders, i.e. some variation of “the founders only own x% of the company, we need to make sure they have enough shares to be fully motivated”. Well, if that was your concern, Mr. Late-Stage Investor, offer a higher valuation to make the round less dilutive. Oh, I forgot, that’s not possible because you have to own 20% of the company to make the investment worth your while. Sorry for getting cynical, but as you can see, this issue has caused me a great deal of annoyance. The prospect of keeping a larger stake can understandably be tempting for founders, and once the pandora box has been opened by a new investor, it can be hard to shut it. What makes the situation particularly uncomfortable is that if as a seed investor you object the founder re-up, you suddenly look like the bad guy who doesn’t want to grant the founders some additional shares for all their hard work and who risks the entire deal by bringing up your concerns, while the later-stage investor looks like the good guy who wants to reward the founders. As we’ve seen in the example above, this interpretation is absurd because the later-stage investor proposes a reward that benefits him/her and is borne by someone else, but in the hectic and pressure of term sheet negotiations, this can be forgotten. Therefore it’s all the more important that founders fully understand the implications of a re-up and that they don’t let anyone divide their interests from the interests of other existing shareholders. So is it always bad if an investor proposes changes to the cap table? No. There can be situations in which cap table restructurings may be necessary. If, for example, we wanted to invest in a seed-stage startup and found out that the company is majority-owned by an angel investor or incubator, we would most likely conclude that for the company to be VC-backable, and for the founders to be motivated and incentivized for the next ten years, something needs to change. But these are rare cases, and the fact that they exist doesn’t justify using founder re-ups as a tactic to win deals. If any later-stage investors are reading this, please reconsider your tactics. Just treat upstream investors how you want to be treated by your downstream investors. Easy. And to all founders out there: Please don’t let anyone screw your early backers. In last week's post I shared some thoughts about Dropbox and why, although Dropbox is unquestionably one of the most amazing SaaS companies ever built, I am a tad less confident in the company's long-term future than I am in other SaaS leaders such as Salesforce.com, Zendesk, or Shopify. As mentioned in the first part of the post, I took a closer look at Dropbox’s recent IPO filing and would like to share some tidbits, along with a few observations. Software purchasing decisions have traditionally been made by an organization’s IT department, which often deploys products that employees don’t like and many refuse to adopt. As individuals increasingly choose their own tools at work, purchasing power has become more decentralized." Viral, bottom-up adoptionOur 500 million registered users are our best salespeople. They’ve spread Dropbox to their friends and brought us into their offices. Every year, millions of individual users sign up for Dropbox at work. Bottom-up adoption within organizations has been critical to our success as users increasingly choose their own tools at work. We generate over 90% of our revenue from self-serve channels — users who purchase a subscription through our app or website. Before reading the S1, I didn’t know if Dropbox has become somewhat more focused on enterprise sales over the years. But here you have it – it really is the King of Freemium, generating more than 90% of revenue from self-service channels. #3 – It’s a Mouse Hunter! Dropbox’s ARPU is around $110 per year, confirming that the company is indeed the ultimate Mouse Hunter. It’s worth pointing out that $110 is the average revenue per user, not per account, and one account can consist of multiple users, so the company’s ARPA (which hasn’t been disclosed) is probably significantly higher. However, according to the S1, 70% of the company’s 11 million paying users are on an individual plan as opposed to a "Dropbox Business" team plan, so at least 70% of the company’s revenue does indeed come from mice. As of December 31, 2017, Dropbox had 1,858 employees. Revenue for 2017 was $1.107B. That’s $595,800 per employee. Mind blown. For comparison, according to a Pacific Crest survey among private SaaS companies, the median SaaS revenue per employee of that group of companies was $136,000 in 2016. Salesforce.com generates a similar (actually, even higher) amount of revenue per employee, but the company is almost twice as old and has much bigger scale, so you’d expect them to be more efficient. When Salesforce had around $1B in revenue, in 2008, it had around 3,300 employees, so at that time its revenue per employee was around $327,000. Not a bad ratio at all, but Dropbox’s revenue-per-employee ratio is truly spectacular – a testament to its extremely effective and efficient bottom-up adoption driven by product virality. We “do not track the retention rate of our individual users”. Wait, what? Did I read this right? When I read this number for the first time, I was wondering if there’s a typo. $827 million is going to be spent on office rent? A rough calculation shows that the number isn’t as crazy as it might appear on first sight. Assuming the company currently employs around 1,500 people in San Francisco and that that number will grow to 5,000 in the coming years, and assuming it’s a 12 year lease, rent per employee per year (at 5000 employees) would be around $13,800. That’s still expensive, but not “they must have accidentally added a zero” expensive. #7 – I don’t understand this … is it just me? If you don’t understand how to reconcile these two statements, you’re not alone. Looking at the cohort chart on page 62 of the S1, you’d expect Dropbox to have a significantly negative net dollar churn rate, i.e. net revenue retention of significantly over 100%. The only scenario, in which the two statements above could be compatible, is if a user cohort’s revenue doubles during the first three years but then declines steeply, but I have no idea if that is the case. If you know or have an idea what I’m missing here, I’d love to hear it! Look at this. From 2015 to 2017, Dropbox increased revenue from around $600M to ca. $1.1B. During the same period, the company decreased cost of revenue from over $400M to less than $370M. In percentage terms, CoGS decreased from around 67% to around 33%. You don’t often see a company halving its CoGS percentage within two years. Either Dropbox was pretty wasteful in 2015 or they are extremely efficient now. ;-) I think it’s a bit of both. According to the S1, the remarkable CoGS reduction was achieved primarily by closing accounts of inactive users and by moving more than 90% of all user data from AWS to Dropbox’s own server infrastructure. For what it’s worth, this also gives you a hint on the margins of AWS. "Our users trust us with their most important content, and we focus on providing them with a secure and easy-to-use platform. More than 90% of our users’ data is stored on our own custom-built infrastructure, which has been designed from the ground up to be reliable and secure, and to provide annual data durability of at least 99.999999999%. We have datacenter co-location facilities in California, Texas, and Virginia." I thought six 9s are considered best-in-class, so I was surprised when I counted eleven 9s in this paragraph. Eleven 9s correspond with 0.00032 seconds of downtime per year, which for all practical purposes means that Dropbox can never go down. I re-read the sentence and noticed that Dropbox isn’t referring to availability (i.e. uptime) but data durability, which, as I now know, is something else. 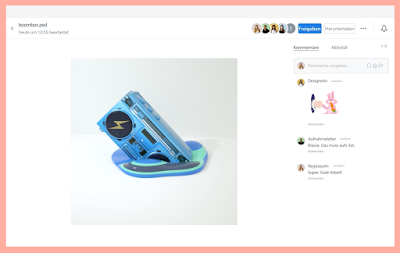 If you read the S1 and take a look at Dropbox’s website, it becomes clear that the company wants to become much more than just a service that takes care of file storage and synchronization behind the scenes. 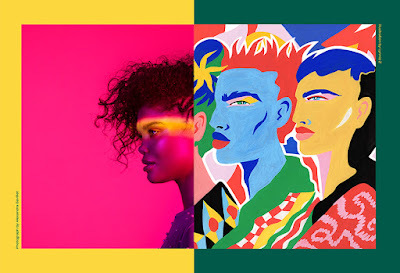 They don’t want to be just an icon in your file system, they want to unleash the world’s creative energy by designing a more enlightened way of working (Dropbox’s mission statement). That makes perfect sense, as being a “background service” might ultimately prove not to be a defensible, high-margin business. I’m somewhat skeptical if their (relatively) new “Paper” product will become a success. But with 500 million registered users, 11 million paying users and 300,000 paying work teams, the company has time to figure it out. Like Zendesk, Yammer, and a few other SaaS companies that were all founded around 2007-2008, Dropbox was one of the early champions of the "consumerization of the enterprise" movement. In contrast to Zendesk (and I think, Yammer), which eventually moved upmarket and now generates an ever-increasing percentage of revenues from larger customers, Dropbox is still getting most of its revenues from individual users and small teams. The company hasn't disclosed how much revenue it is generating from larger companies, but according to its S1 filing, a staggering 70% of its 11 million paying users are on an individual plan as opposed to a "Dropbox Business" team plans. More than 90% of its users are acquired via self-service channels, presumably driven in large part by the inherent virality of the product. These characteristics make Dropbox the "King of Freemium", as Tomasz put, or the ultimate “Mouse Hunter”. And what an almighty King it is! 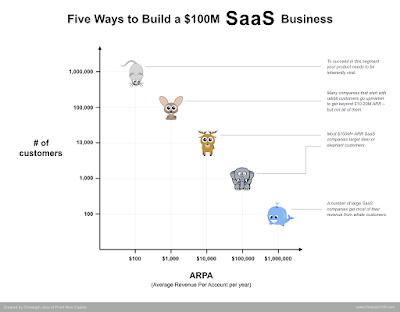 Dropbox was the fastest SaaS company ever to hit $1B in ARR. As every aspiring SaaS entrepreneur knows, getting a hundred million dollars in ARR within around eight years is incredibly hard and extremely rare. Getting to more than one billion within the same timeframe is completely nuts. If the improbability of reaching a $1B valuation is epitomized by a unicorn, getting to $1B in SaaS revenues within eight years is as unlikely as seeing a unicorn with three heads. Dropbox is one of the very, very few companies in the top left corner of the LTV/CAC chart. So what is it that made Dropbox beat all odds? I believe that no single factor alone can explain a success of this magnitude. Instead, I think that the right team has to hit the right opportunity at the right time. Call it the positive equivalent of a perfect storm. As consumers tend towards using more devices over time, they’ll experience a bigger need for a solution that synchronizes files across all of their devices. Until 2005 or so, most people used only one or maybe two devices to work with their files: a desktop PC and/or a laptop. Dropbox was founded in 2007, the year the iPhone was launched and just when the move to a multi-device world started to become inevitable. Dropbox also benefited from an ever-increasing number of remote workers who need easy access to their company's files. According to a 2016 study by Deloitte that is mentioned in the S1, 30% of full-time employees primarily work remotely. Dropbox managed to beautifully solve a very difficult problem. It might look like a simple product on the surface, but from handling versioning conflicts to building deep integrations with different operating systems to ensuring secure and fast access to files, it required solving a number of hard technology problems. I remember that before switching to Dropbox, I used another piece of software to sync files across two computers. It was pretty messy. With Dropbox it just works. While it's possible to use Dropbox just by yourself, my guess is that at some point, most users use Dropbox to share files with one or more other users. It's this built-in virality that allowed Dropbox to grow at a pace that no other B2B SaaS company has seen before. As if this wasn't enough, Dropbox also had a famous two-sided referral program that augmented the inherent virality with additional referral incentives. I don't know the founders of Dropbox, but looking at the quality of the early product and their referral program, it's clear that the founding team combined excellent product and tech skills with a strong growth mindset. In any case, the results speak for themselves – there's no question that a remarkable team must have been at work here. As much as I love Dropbox – the product and the company – I'm not entirely sure about the company's long-term prospects. Dropbox's one big weak spot, in my opinion, is that the product is almost UI-less. While you can access your files using Dropbox's (simple) Web app, there's very little need for it. We use Dropbox for all of our files at Point Nine and I have it running on four devices, but Dropbox does its magic almost entirely in the background. That makes me think that Dropbox is much less sticky than other SaaS products, e.g. workflow tools that require training. I could imagine that if a company's IT department decides to switch the file storage and sharing provider for its entire workforce overnight, most people wouldn't even notice it. In contrast, imagine the outcry that would ensue if you took away Zendesk from a support team or if you tried to get your development team off Slack. I think the company has recognized this issue. 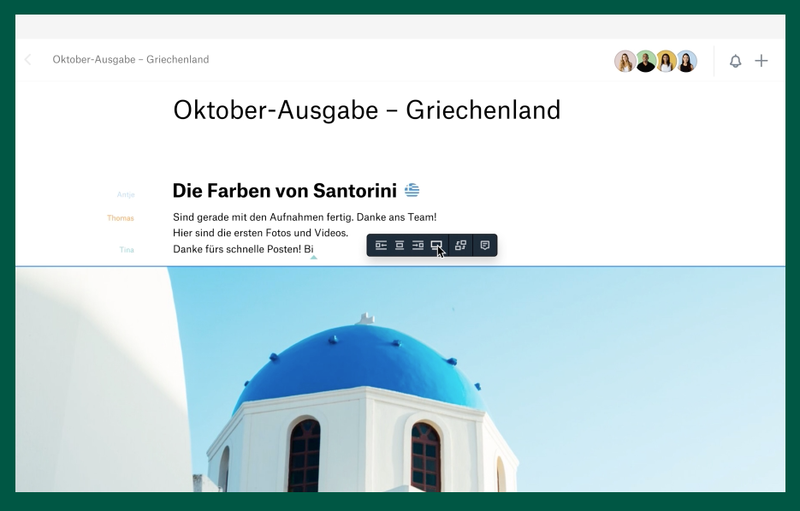 Two and a half years ago they launched "Paper", a collaborative document-editing app, presumably to get more "face time" with its customers and to own a bigger part of the value creation chain. However, I know almost nobody who uses Paper and the company doesn't disclose any usage numbers, so my guess is that it's not a big success so far. Update: Here is part 2 of this post. Quick thoughts about Blogger and Medium. Plus: The 2018 SaaS Funding Napkin! I usually use this blog when I write new posts. Occasionally I re-publish selected posts on our Medium channel. Lately, however, I've observed myself publishing on Medium first, for the simple reason that the authoring experience is much better on Medium than on Blogger, especially when you're including a lot of pictures. If the incumbent benefits from network effects, it's much more difficult. A complete migration from Blogger to Medium would be very painful for me because like you, most of my readers are here – and many of you are reading the blog using an RSS subscription or an email subscription, or you've bookmarked www.theangelvc.net, all of which would cause friction if I decided to migrate. Anyway, the actual reason for this post is that I've just published a series of blog posts, along with the 2018 version of the SaaS Funding Napkin, on Medium, and I wanted to make sure that you don't miss it. Part 1: What does it take to raise capital, in SaaS, in 2018? You can also check out the napkin on Product Hunt, and if you're interested in the physical, real version of the napkin, fill out this short Typeform!